When we say Customizing the console, What does it means ? It means nothing but changing the default settings of the console. Its about changing the appearance and other simple settings of the console. Here is a way to accomplish this. Click the PowerShell icon on the top left of the title bar of the window to open it. Here you are seeing the options for PowerShell v 5.0. Cursor size:- Where you adjust the size of the blinking cursor. 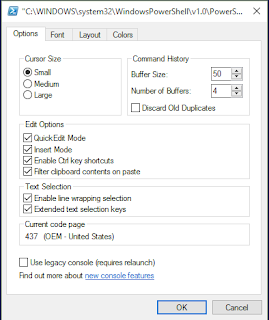 Command History:- Where you have the option to set Buffer Size, Which is a setting how many commands should the console remembers and discard the duplicates option will remove if we use the command more than once and will keep only once. Edit Options:- We can enable Quick edit mode to , Which makes us easy to select, copy and insert text. The insert mode makes sure that’s the new characters will be added without erasing text. And we have the option to enable/Disable ctrl key options and Filtering the contents in clipboard while copying. Default Font Will be 'Raster'. Here you can change the font size,.If you need bold, You can check 'Bold fonts' option and you can view all these setting changers in preview window. 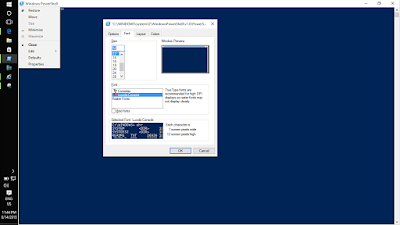 This Layout Tab Determines the Windows Size, Window Position and Screen Buffer Size for The PowerShell console. 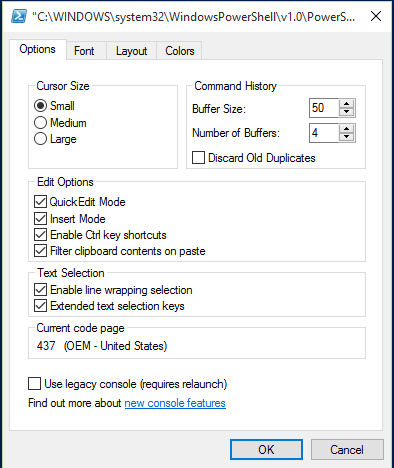 Screen Buffer Size:- Here You Can Specify the Width and Height for the console which determines how much information the console should 'remember' and how for back you can scroll the scroll bars. 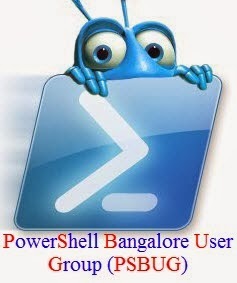 Window size:p:- Here you can specify the Height and Width for the PowerShell console window. Window position:-Here is the place where you can specify the Window Position that, Where the console should open whenever you open Windows PowerShell console in You PC.You Can Check 'Let system Position windows' option to Let the system determine where the console should open. NOTE:- Its better to Assign same width For Window size and window Position . On this tab, You Can Specify the color settings For your console. Screen background:-Color For Console Background. popup background:-The Background color for Popup window. You Can Specify the colors by giving values for Red,Green and blue, So that you can get customized colors other than in the list.